The cream of the crop deserves the best and only the best. OH YEAH! That means using the best finishing move. OH YEEAH! 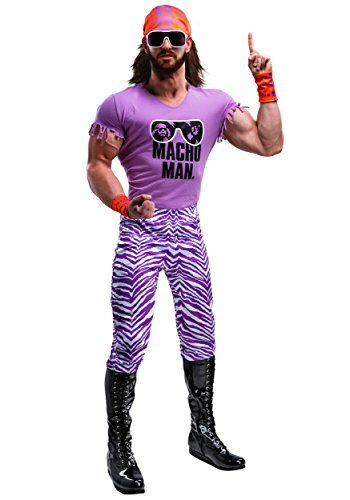 That means wearing the best outfit in wrestling, like this Plus Size Macho Man Randy Savage Costume. OH YEEEAAH! 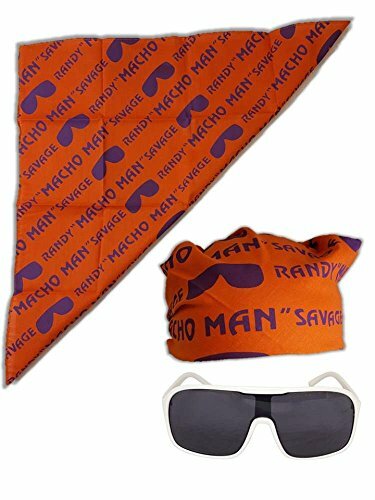 It only has the brightest colors, the meanest pattern around and a hat that lets your enemies know that they're face a real man. 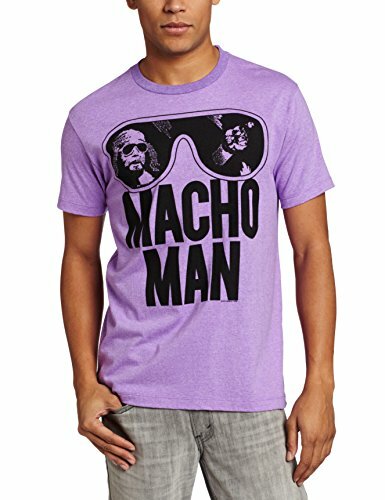 It's an outfit that lets them know that the cream always rises to the top of the WWE. OH YEEEAAAH! 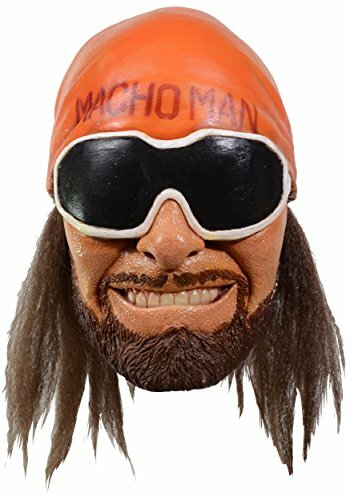 Brand new officially licensed product. 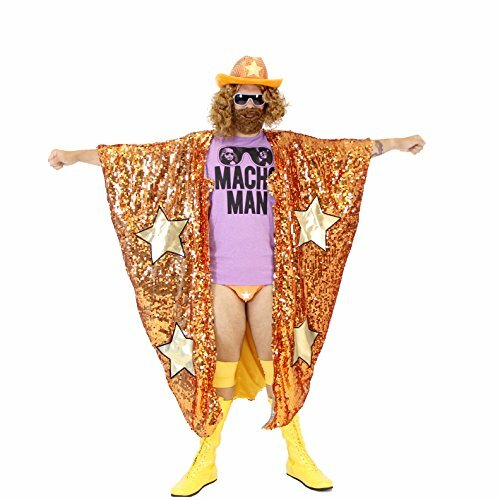 Transform into Macho Man with this costume cape. 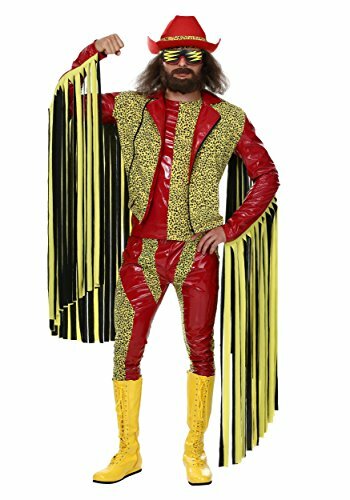 Snap into some Halloween. Oh Yeah!!!! 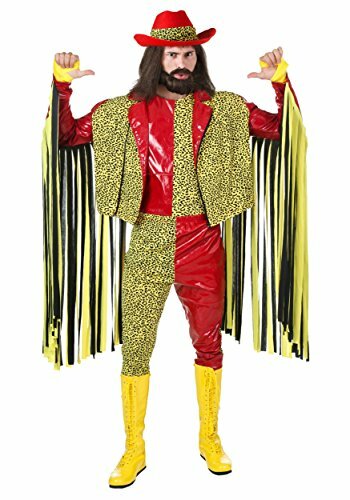 Al Ruddick- Wrestling's biggest Mark heading out for Halloween as Macho Man Randy Savage.